Yes, this is a fried chicken shop, but banish any images of late night greasy takeaways immediately. 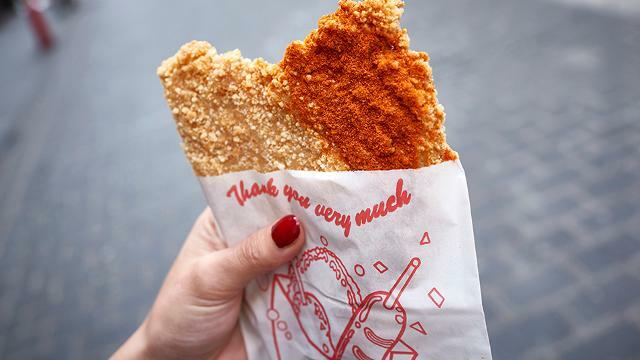 The team behind Good Friend take their fried chicken very seriously and aim to recreate the fresh tastes of this typical Taiwanese street food – so much so that they brought their oven all the way over from Taiwan! Choose from the simple menu (breast, wings or popcorn chicken?) then add some oomph with one of the many flavoured powders to pick from – our tip is to try the pepper and chilli, or plum flavours. Add a side of sweet potato fries for a quick, easy and authentic Taiwanese street food delicacy. Is Good Friend your business?